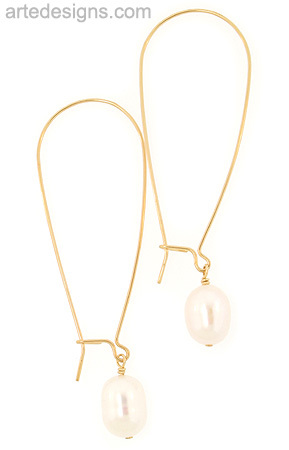 Every girl needs a long pair of pearl earrings that are modern, lightweight, and elegant. No two are alike. Pearl is an emblem of purity. It symbolizes love and happiness. Just under 2.5 inches total length. 14K gold filled ear wires.